As part of its keenness to provide a safe beach environment that can attract all categories of visitors to the public beaches in the emirate, Dubai Municipality has recently set aside a location for windsurfing activity at the beach area at Umm Suqeim-3 adjacent Burj Al Arab Hotel. Open public beaches in the emirate are witnessing a lot of water sports practices and beach activities by different nationalities and age groups making Dubai the ultimate recreational destination, said Eng. Alia AbdulRahim Al Harmoudi, Head of Coastal Zone Management and Water Channels Section of Dubai Municipality. “Surfing is one of those beach activities that is very popular and accepted by a large number of residents and tourists,” she said pointing out that many of the fans of these sports head for the Emirate during the particular seasons for this purpose and exchange information among them on the condition of the sea and other things through forums and websites created for this. Al Harmoudi noted that the process of breaking waves significantly helps practice this activity, which requires the availability of a specific correlation between the characteristics of waves and the topography of the seabed that makes the location very much exclusive. She added that after the artificial island projects have been commenced, the only site in the emirate where this activity could be practiced is the beach area at Umm Suqeim-3 adjacent Burj Al Arab Hotel. Harmoudi revealed that during the last year the Municipality received many complaints and observations by beach goers because of the overlap between surfing and users of the beach for swimming. She said that after a systematic technical study of the location a part of the said beach at a width of 900 meters has been allocated for the windsurfing activity separated from the areas designated for swimming. “The location is identified through the flags and signboards that have been placed on the beach in addition to the warning signs floating in the sea,” said Harmoudi. She appealed to the practitioners of the sport on the need to adhere to exercising this activity at the location specified by the Municipality and not to infringe on the adjacent areas allocated for swimming and to preserve the safety of beach goers, and pointed out that actions will be taken against the offenders. Harmoudi said that the Coastal Zone Management and Water Channels Section is also working on a study to determine the different locations on the open public beaches in the emirate for the other beach activities that affect users of the beaches and threaten their safety, especially the activity of Kite Surfing, practiced by thousands annually in the periods when the winds are active. Dubai-UAE: 31 January, 2011-Business confidence in the region has picked up significantly since the nadir witnessed during the global financial crisis, with the UAE registering over 30 percent growth in confidence levels, according to a survey conducted across the UAE and Saudi Arabia by management consultancy Oliver Wyman and polling firm Zogby International. 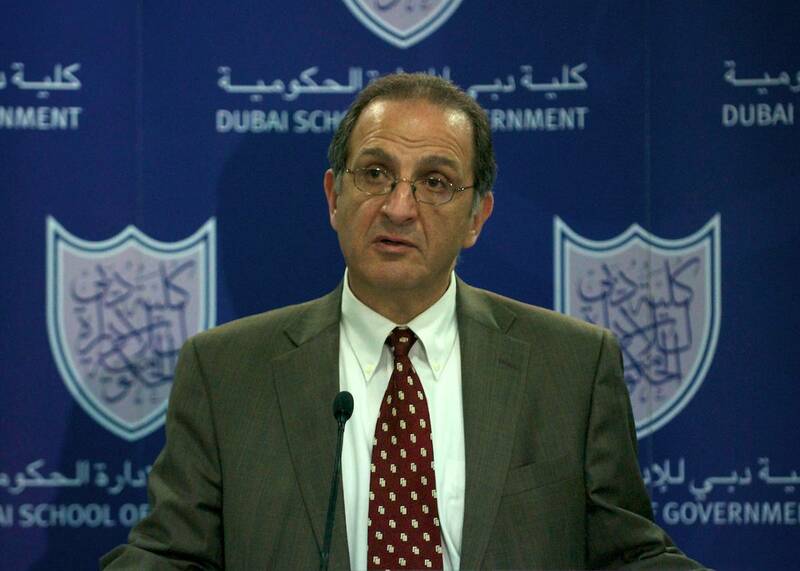 Dr. James Zogby, Founder and President of the Arab American Institute (AAI), presented the results of the ‘Third GCC Business Confidence and Government Reform Survey for 2010’ during a lecture hosted by the Dubai School of Government (DSG), a leading research and teaching institution focusing on public policy in the Arab world. The results highlighted issues including business confidence in the GCC region, key business priorities to improve competitiveness going forward, and areas that governments need to focus more on, including education and labor reform. The areas are classified under two themes – Competitiveness, as well as Growth and Reform. The survey revealed that executives are largely satisfied with the government response to economic challenges, with the UAE scoring a 69 percent satisfaction rate. However, they are wary that sanctions against Iran may significantly impact their businesses. Dr. Zogby said: "Our aim in conducting this poll is to assess business confidence in the region and provide a feedback mechanism to governments in terms of reform priorities. The business confidence in the region is relatively high on current and future prospects. Of course, the survey results cannot be termed as facts, because they are purely the perceptions of senior business executives. For the first time, the GCC was included as an option for preference of geographic expansion for growth for both the UAE and Saudi executives in the survey. Nearly 80 percent of the executives who responded to the survey said they consider the GCC region a priority for new investment opportunities. Established in 2005 in cooperation with the Harvard Kennedy School, the Dubai School of Government is committed to the creation of knowledge, and dissemination of global best practices in the Arab world. The school conducts various programmes that seek to enhance the region's capacity for effective public policy. Abu Dhabi, 31 January 2011: Today, the Prime Minister of Malaysia Datuk Seri Najib Tun Razak visited the Masdar Institute campus at Masdar City, to see firsthand the momentum and progress of Abu Dhabi’s world-renowned, sustainable and cutting-edge urban development. The Prime Minister also met with Dr Sultan Al Jaber, CEO and managing director of Masdar, to discuss how the two nations can collaborate to innovate and commercialise renewable energy and clean technologies. Masdar is Abu Dhabi’s multi-faceted initiative advancing the development, commercialisation and deployment of renewable and alternative energy technologies and solutions. The company serves as a link between today’s fossil fuel economy and the energy economy of the future - developing a pathway for how we will live and work tomorrow. Backed by the Mubadala Development Company, an investment vehicle of the government of Abu Dhabi, Masdar is dedicated to the Emirate’s long-term vision for the future of energy. Masdar City, one of the most sustainable cities in the world, is an emerging global hub for innovation and the commercialization of renewable energy and clean technologies. The city offers a fertile environment to inspire creativity, growth and commercialization opportunities to the companies and organizations operating in this strategic business sector. Abu Dhabi, 31 January 2011: With more than 200 companies from Arab Nations confirmed to exhibit at this year’s International Defence Exhibition (IDEX) and Naval Defence Exhibition (NAVDEX), the evolving nature of the region’s defence industry which is moving from buyer to supplier, is being highlighted. · In Aerospace: Griffon Aerospace, TLD Group, NP Aerospace and Hawker Pacific, offering aerospace vehicle manufacture, ground support, personal protection and aviation sales. · In Land Defence: Jordan Light Vehicle Manufacturing exhibiting its range of light combat and transport vehicles. Headline sponsors of IDEX, Tawazun Holding, a government-owned company designed to diversify the national economy into a wide range of industrial and commercial ventures, and its related subsidiaries such as Caracal International, and Tawazun Advanced Defence Systems. · In Naval Defence: Abu Dhabi Ship Building a world-class ship builder, specialising in the construction, repair, refit, and upgrade of naval, military and commercial vessels, Abu Dhabi Mar specialising in the building and refitting of yachts, Stellar Composites specialising in consumer and defence vessels, and Ocean Power International, suppliers of Thordon Bearings. Commenting on the regional presence at this year’s show, Mohamed Al Mashgouni, IDEX 2011 Show Director, said: “We are seeing an emerging role for Arab nations in the defence sector; while this region is still investing heavily on importing technologies, the manufacturing and supply capabilities in the region, have also ramped up in the last few years. In line with this, nearly 10 percent of our exhibitors at this edition are from the region - providing a strong backdrop for this year’s show. Exhibitors from the Arab world, will therefore definitely, be among the ones to watch this year”. IDEX is being held under the patronage of His Highness Sheikh Khalifa Bin Zayed Al Nahyan, President of the UAE, from 20th – 24th February 2011. It is organised by ADNEC (Abu Dhabi National Exhibitions Company) in association with the UAE Armed Forces GHQ. Although supply capabilities have increased, demand for products by Arab Nations from domestic and international suppliers, is still predicted to be one of the highest globally. According to recent research by Frost & Sullivan, the GCC and Jordan defence budget is expected to hit US$68Bn (Dh249 billion) in 2011, growing to around $80 billion by 2015. Overall defence spending in the Middle East is also expected to cross US$100Bn by 2015. Strong economic growth, continuing regional security concerns and the desire to develop indigenous capabilities through the use of offset programmes are driving the demand and strong growth projections for the region in the run up to IDEX and NAVDEX 2011. First held in 1993, IDEX (International Defence Exhibition & Conference) is the largest tri-service defence exhibition in the Middle East and North Africa region. IDEX takes place biennially under the patronage of HH Sheikh Khalifa Bin Zayed Al Nahyan, President of the UAE, and is organised by ADNEC (Abu Dhabi National Exhibitions Company) in association with the UAE Armed Forces GHQ. Defence deals worth a combined 18.5 billion dirhams in contract value were announced by the UAE Armed Forces at the last IDEX in 2009. IDEX 2011 marks the show’s 10th anniversary and will take place 20th – 24th February 2011 encompassing indoor, outdoor and marine exhibit areas at the Abu Dhabi National Exhibition Centre. New for 2011 will be the launch of NAVDEX the Middle East’s premier exhibition dedicated to the naval defence and coastal security sector, which will run in parallel with IDEX 2011. Launching from 20th – 24th February 2011, the Naval Defence Exhibition (NAVDEX) is set to be the Middle East’s premier exhibition dedicated to the naval defence, coastal and maritime security sector. Run in parallel with IDEX 2011 (International Defence Exhibition & Conference) at the Abu Dhabi National Exhibition Centre (ADNEC), Abu Dhabi, United Arab Emirates; NAVDEX is expected to attract a high-profile audience of influential decision makers dedicated to the procurement of naval and coastal defence products, services and solutions from the UAE, Middle East, Africa and Asian Subcontinent. NAVDEX 2011 will take place at the ADNEC marina where exhibitors will display the latest technology on stands within a purpose-built air-conditioned exhibition structure; showcase vessels and crafts on the marina; demonstrate technology aboard visiting naval vessels; and highlight equipment capabilities in live on-water displays – all within direct walking access of IDEX. NAVDEX 2011 is being organised by Clarion Events on behalf of ADNEC (Abu Dhabi National Exhibitions Company) in association with the UAE Armed Forces GHQ. Perceptive Software, a leading enterprise content management vendor and one of the fastest growing global providers, adds EMEA general manager to oversee international expansion. Perceptive Software, a stand-alone business unit of Lexmark International (NYSE: LXK) and creator of enterprise content management (ECM) solutions including ImageNow, recently announced the appointment of Anthony Giagnacovo as EMEA general manager. He will be based in Perceptive Software’s new international headquarters in Geneva, Switzerland. Giagnacovo is responsible for leading the company’s aggressive international expansion efforts, with an initial focus on European expansion. He will oversee the company’s international operations, and is responsible for building in-country business divisions and expanding the Perceptive Software international customer base. “With approximately 60 percent of the ECM market outside of North America, expanding our international footprint is a key to our continued growth and long-term success,” said Cary DeCamp, Perceptive Software executive vice president of marketing and communications. “Anthony Giagnacovo’s diverse experience in the software industry and international sales will allow us to deliver our unique ECM offerings to key international markets,” added DeCamp. With customers in more than 30 countries, Perceptive Software is experienced at adapting its solutions to meet the business needs of international organisations. The company’s flagship solution, ImageNow, provides users with instant access to critical information, while facilitating collaboration and simplifying business processes. Giagnacovo brings more than 15 years of technology experience to Perceptive Software, following positions at RSD, Adobe Systems and PeopleSoft. Dubai-UAE: 31 January 2011 – Clarion Events Middle East today announced the first Rolling Stone Middle East Battle of the Bands – a live event aiming to showcase exciting musical talent in the region. To be held during Gulf Bike Week 2011 at Dubai Festival City from 11–12 February, the two-day Battle of the Bands will provide a platform for emerging local and regional bands to compete on the Rolling Stone Stage at the Gulf Bike Week Piazza. The judging panel will consist of a host of well-known personalities in the local music scene, including Geordiebird from Dubai 92, host of Dubai Eye’s Open Mic show Zahra Soar, Triplew.me editor Paul Kelly, DJ Bliss and Adam Grundey, editor of Rolling Stone Middle East. Each band will have the opportunity to perform their own material – no cover versions will be allowed. From the submitted entries, 12 bands have been chosen to compete on February 11 and February 12, 2011. 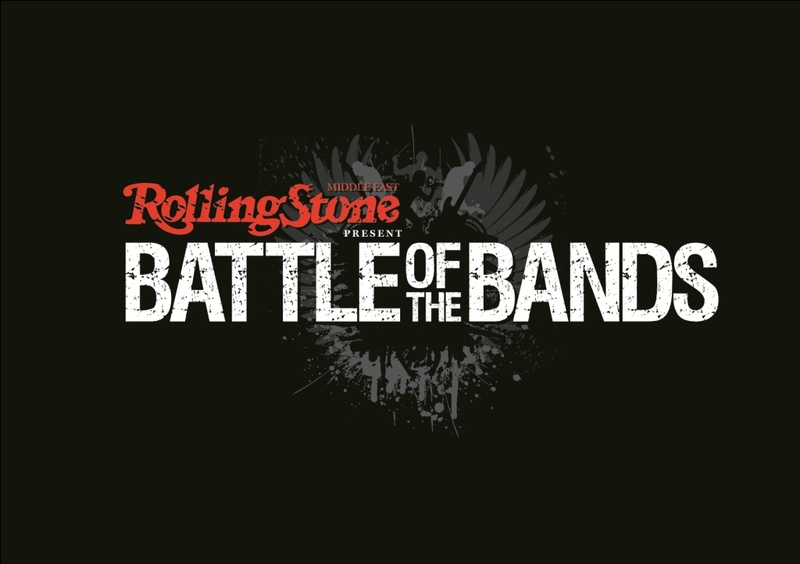 The panel of judges will declare one act as the winner of Rolling Stone Middle East’s Battle of the Bands. The winning band will receive a special Rolling Stone Middle East trophy, studio time and digital recording at Joshua F. Williams Music and Sound, gift certificates from Thomsun and future coverage in Rolling Stone Middle East magazine. The first issue of the renowned Rolling Stone Magazine was published in the United States of America in 1967. The Middle East edition launched in the United Arab Emirates in November 2010. The magazine covers music, movies, current affairs and all aspects of popular culture. Held under the patronage of His Excellency Mohammed Bin Sulayem, FIA Vice-President for Sport and President of the Automobile & Touring Club of the UAE (ATCUAE), Gulf Bike Week will take place in Dubai Festival City from 10-12 February. It welcomes over 150 exhibitors and has a 6,800sq.m exhibition marquee with an estimated 40,000 visitors expected. MECOM Forums is a Clarion Events Partner with offices in both Abu Dhabi and Dubai. MECOM Forums, a Clarion Events Partner has grown into a highly successful business. In 2009, over 800,000 targeted people visited their 200 exhibitions, conferences and seated events across Britain, Europe, North and South America, Africa, Middle East and Asia. The business-to-business and business-to-consumer, serve 15 different market sectors that include; Defence, Energy, Construction, Retail, Leisure, Entertainment, Finance and Life Sciences. Clarion Events employs over 400 people in twelve offices: UK (London Earls Court Exhibition Centre, and Birmingham NEC); Germany (Bielefeld); The Netherlands (Maarsen); South Africa (Cape Town); USA (Connecticut and Reno): Brazil (Sao Paulo); United Arab Emirates (Abu Dhabi and Dubai); Singapore and Turkey. Al Ain, UAE. January 31, 2011: Abu Dhabi’s ‘Flying Falcon’, Hannes Arch, one of the world’s foremost aerobatic stars, will make his debut at the Al Ain Aerobatic Show this week with his dazzling new ‘Rhythm & Air’ routine – a stunning display which ties in the world of aerobatics with live music, dancers and moving images, all built around the four elements of air, fire, earth and water. The never-before-seen act will be a highlight of the show, running at Al Ain International Airport from 2-5 February, and will draw on the Team Abu Dhabi pilot’s vast experience as a Red Bull Air Race dare-devil, where his lightening quick reflexes and nerves-of-steel earned him the coveted world champion title in 2008. The ‘Flying Falcon’, as he is known, earned his Red Bull Air Race World Championship title in 2008, and followed it up with second places in both 2009 and 2010, achieving a record-breaking four consecutive wins in the latter. The Austrian pilot’s gift for aerobatics has seen him race all over the world, wowing spectators with his nail-biting performances. Having made a career out of climbing the world’s highest mountains and jumping off the tallest buildings, Hannes is sure to have visitors on the edge of their seats with his awe-inspiring aerobatic manoeuvres, hundreds of feet above the ground. Helping him to set the skies alight over the Oasis City will be his trusty, Abu Dhabi-branded Zivko Edge 540. This lightweight aircraft has the highest aerobatic thrust to weight ratio of any competition aerobatic aircraft. It is also capable of a 420 degree per second roll rate and a 3,700 foot per minute climb rate. “Hannes has a special talent for getting the best out of his aircraft and dazzling spectators with his gravity-defying manoeuvres and unbridled showmanship. His new routine in Al Ain will be no different,” said Faisal Al Sheikh, Events Manager, ADTA, which organises the show in conjunction with the UAE Armed Forces. Joining Hannes and the other solo acts in Al Ain is another airshow favourite - Skip Stewart with his aircraft Prometheus. An aerobatic gold medallist, he was the first pilots to fly an airplane under a jumping motorcycle and is recognised as one of the world’s most entertaining pilots. Prometheus, a Pitts S-2S customised by Stewart himself, brings extra flash to the aerial manoeuvres with its eye-catching, hot rod-style flame paint job. 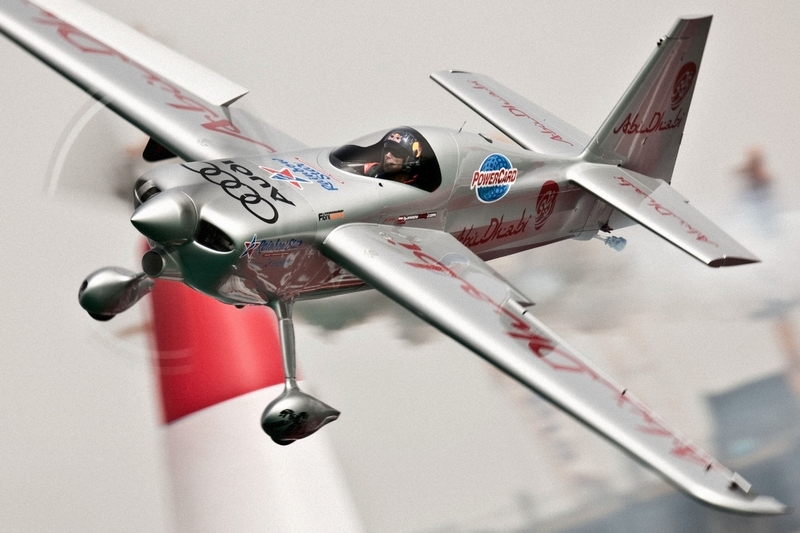 More than 20 aircraft will take to the skies in the daily flying display at the 2011 Al Ain Aerobatic Show. In addition, the unique, multi-discipline FAI Desert Challenge, arranged by the Fédération Aéronautique Internationale (FAI), the international governing body for air sports, will see six of the world’s best pilots flying in classic and free-style competing to be Al Ain’s first free-style Desert aerobatic champion. Topping off the aerial displays will be spectacular on-ground activities for the whole family, including meet-the-pilot sessions, tethered hot air balloon rides, go-karting and bungee trampolines, as well as face-painting and appearances by children’s favourite magazine character Majid, the Al Ain Aerobatic Show’s own Friendly Pilot Bear and a stilt-walking pilot. The 2011 Al Ain Aerobatic Show, held under the patronage of HH General Sheikh Mohammed bin Zayed Al Nahyan, Crown Prince of Abu Dhabi and Deputy Supreme Commander of the UAE Armed Forces, will take place at Al Ain International Airport. Approximately 80 minutes drive from Abu Dhabi and Dubai, it is an ideal day trip from across the Emirates. Daily show tickets are just Dh40 per adult and Dh20 for children between three and 10 years old, while children under three enter free. Schools are being offered free access on the Wednesday and Thursday – further information can be obtained by contacting alainschools@fegroup.ae or calling 04 2867755. Ticket details can be found on the Al Ain website at www.alainaerobaticshow.com. The Al Ain Aerobatic Show is backed by a high-profile sponsorship line-up that includes Gold Sponsors Abu Dhabi Islamic Bank (ADIB), Abu Dhabi National Hotels, Al Ain Water and Etisalat. Mubadala Aerospace, TDIC, Abu Dhabi Aircraft Technologies and Pilatus Aircraft are Silver Sponsors, while Emirates Motor Company is the Official Supplier and ADAC the Host Sponsor. The 2011 edition of the Show is carried out in partnership with Al Ain Municipality and Al Ain Police. Dubai-UAE: 29 January, 2011 – An innovative approach to offering an augmented layer of value-added services to business partners has been adopted by Dubai Knowledge Village (DKV), the region’s premier destination for human resources management, according to Dr. Ayoub Kazim, Managing Director, TECOM Investments’ Education Cluster. Outlining the innovative management strategies that the TECOM Education Cluster implements to engage all stakeholders, he added DKV’s Partner Development Management (PDM) is a testimony to the value propositions offered to business partners that has launched and implemented multiple initiatives and platforms. Dr. Kazim’s remarks came as part of his address at the second Annual Abu Dhabi Innovation Forum that was held from 24-25 January. Supported by Dubai Knowledge Village, the event brought together international experts and leading innovators to Abu Dhabi to discuss the exciting innovation landscape and discuss ways to advance their organisations in the current economy. Dubai Knowledge Village’s participation in Annual Abu Dhabi Innovation Forum 2011 also coincides with its support to the HR Technology 2011 MENA conference that was held in Dubai from 24-25 January. The event drew leading HR professionals from the region to discuss how they are transforming their departments through embedding technology and systems into the strategy. TECOM Investments Education Cluster has created several platforms to facilitate the exchange of knowledge and best practices across the areas of education, project management, leadership, work-life balance, investment, sales, IT, design, HR and tourism. Periodic industry-specific events focusing on sectors such as oil and gas, finance and banking, as well as investment prominently feature the annual calendar of programmes at DKV and DIAC. DKV’s Partner Development Management (PDM) department has to date successfully conducted 185 workshops and seminars that have attracted over 21,000 professionals from the UAE and the region. Launched in January 2007, it aims to support business partners through fostering interaction with the TECOM community as well as other industries, maximizing exposure and visibility, and helping reach the target market through building appropriate marketing channels. Revel in the traditional sounds of oud and qanoon that capture the cultural essence of the region. Renaissance Fashion is a mixture of renaissance minuets, waltz and modern dance full of fashions, expression and posing, highlighting people’s influence on nature. It moves from classical to jazz to Madonna’s Vogue, culminating in modern funky style. Family based entertainment providing opportunities for visitors to witness entertainment from around the world. Let your kids discover their talents whilst enjoying complimentary arts and crafts workshops. Enjoy ballet performances by The BFA, comprising two dance troupes with over ten years of experience. Marvel at the remarkable costumes and stunning dance movements. Discover the stories of the world’s most significant writers as Montblanc and Magrudy pay tribute to their lives, works and words. The exhibition will celebrate extraordinary writers and share for the first time a collection of very rare and collectable limited Writers Editions created by Montblanc.